Take back Medivh’s Tower from the Legion! With the release of World of Warcraft: Legion’s new 7.1 patch, an old, fan-favorite dungeon has made a comeback. The former 10-man Burning Crusade dungeon, Karazhan, has returned and gotten a hefty makeover. 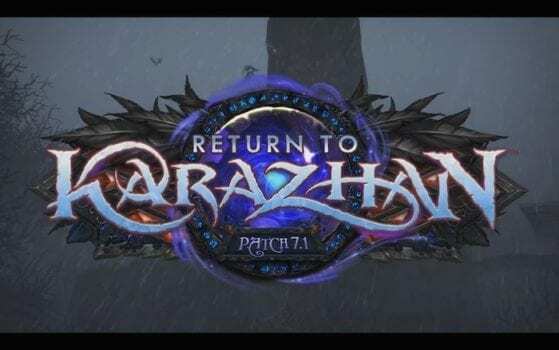 Karazhan is now a 5-man mythic-level dungeon which rewards players with powerful loot acquired from many familiar and a few brand new bosses. However, you cannot simply walk into the former Guardian of Tirisfal’s home. Instead, you’ll have to attune for it, which will require quite a few quests and some help from other players. So head on over to Khadgar in Dalaran and we’ll guide you along your attunement to Medivh’s Tower.